The vast Fort Bonifacio is now home to the Regent Parkway, a massive and elegant residential development but low in occupation density unlike any other community development in the area. Designed by W.V. Coscolluela & Associates and developed by Daiichi Properties and Development Corp., this upscale residential development towers above the skyline of BGC (Bonifacio Global City). Amid the flourishing and thriving business district of BGC, the Regent Parkway stands at 38-storey of pure elegance and consisting of only 4 units of residential suites per floor, the country’s lowest density so far. The site is situated along 21st Drive, BGC, Taguig City. The condominium development consists of only 101 residential units, primarily made up of 2-, 3-bedroom and the stylish penthouse. The spacious and larger units consist of sizes ranging from 145 to 305sqm, the widest in the industry. Regent Parkway is only a short distance from the BGC’s business center, along its green fairways, where you could find the district’s financial center, giant malls, elegant shopping centers, prominent schools, retail shops, famous restaurants, fast food joints and the cultural district of Taguig. The project’s proximity to these places makes it an ideal reprieve for the business leaders, CEOs, young professionals, expats and fortunate families making an awesome upgrade. A mighty regent now stands majestic at the former military base of Fort Bonifacio. Built by Daiichi Properties and Development Corporation in 2002, the Regent Parkway at Bonifacio Global City was among the first ever high-end residential condominiums to rise in this new and blossoming financial and business district of Metro Manila. Created by years of planning, decades of experience, and a lifetime of passion by one of the region’s best property developers, the Regent Parkway is Daiichi Properties’ symbol of ingenuity, beauty, and strength in this bustling Global City. The Regent Parkway was specially crafted by partnering with globally-renowned architectural design companies, such as the internationally-acclaimed and multi-awarded interior design company, Hirsch Bedner Associates, as well as structural and design expert consultants from HOK and W.V. Coscolluela. With high praises and recognition coming from no less than the Asia Pacific Property Awards Development for its continued success as a developer of award-winning projects for many years in a row, Daiichi Properties is even more motivated to continue in its mission to provide its clients with world-class properties that are designed to be sustainable, that are built with passion, and made to endure. Best, award-winning, and world-class -- these are just some of the adjectives that are used to describe the projects completed by Daiichi Properties Inc. So feast your eyes on one of the best, award winning, world class residential communities to rise at the Fort. The Regent Parkway is thirty five stories of pure affluence. Oozing with rich features and amenities at every turn, it rivals many of the supposedly more modern and newly-built condominiums in its class. Rarely do you find condominiums these days -- or ever -- that are generous with space. Many interior designers are good at making a small space look big, but the truth of the matter is that this is far from reality. Small is not big, and big is big. And when we say big, we mean Regent Parkway big. Very few, if not anything, can match or come close to what a Regent Parkway condominium can offer in terms of floor space alone. Each Regent Parkway floor has no more than 4 residential units, making this high-rise one of the lowest density condominiums in the market to date. Each unit on the Regent Parkway tower has a floor area measuring no less than 149 square meters in size. That kind of space could fit around 40 King Size Beds side by side. This expanse gives its residents more space, more privacy, and an exclusive feel of the building. And what about the largest unit on the Regent Parkway tower, you might be wondering. Well, the largest unit on the Regent Parkway tower is the Penthouse suite with a floor area of 524 square meters. That size is more than the size of your official basketball court and about four times more than the average house-and-lot size of most Filipinos’ homes. If you think that’s luxurious, just wait; we’re still just taking about floor space. 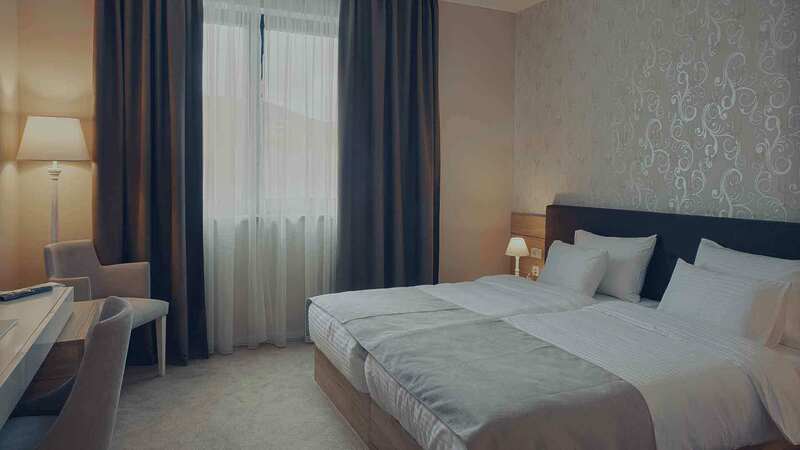 Bedroom units range from 149 to 307 square meters in floor space, while the Penthouse units have a floor space of around 262 to 524 square meters. Depending on the location of the unit, residents on the Regent Parkway get wide and unobstructed views of the Manila American Cemetery and Memorial, the Bonifacio Global City skyline, the Manila Polo Club, the Manila Golf and Country Club, the Makati and Manila skyline, or a majestic panorama of the glittering sun setting on the horizon of the beautiful Manila Bay at the distance. Inside and out, the Regent Parkway is true beauty, strength and ingenuity. The outside structure looks distinctly strong and elegant while the interiors are simply a feast for the senses. Tasteful warm earth colors delight the eyes and bring cheer and excitement back to a weary soul coming home from work or school. Rich textures of fabric, stone and glass bring dignity, elegance, and class that incite a sense of wealth and power to anyone walking on its floors. While fresh, crisp scents from a clean environment and beautiful landscaped gardens rejuvenates, refreshes, and brings peace to the mind. With a published cost for each unit ranging from 26 to 46 million Pesos, the Regent Parkway is a true luxurious home for the distinct and privileged alone. Daiichi Properties Regent Parkway in Bonifacio Global City, Philippines is a premier Condo project available for sale. If you're looking to rent or purchase Regent Parkway, then check here first. We have full details of Regent Parkway updated regularly as well as everything you need to know about the availing and booking process, broken down into stages that includes selecting a unit, choosing a payment plan and buying your dream home at the right price. For price list, free site tripping or showroom visit, personalized service, model house, unit plans, floor plans, payment terms, CHAT LIVE with an agent 24x7. We are Remax Perfect Homes. Always only buy from PRC licensed Real Estate Brokers and Agents. Since the Regent BGC is a superb residential enclave, its amenities are larger-than-life and command the respect of other residential developments all over the land. The project offers a lap pool, toddler’s pool, Jacuzzi, multi-purpose function room, spa, kiddie playground, landscaped gardens, gymnasium, sauna, exclusive residential lounge, reception and recreational areas, shower and changing rooms, library, bar area, gazebo and pool deck. Your investment will really take you a long way compared to other similar investments. Make your children proud and happy all the time! The Regent Parkway is built rather unique than most of condo units within the area. Its wide windows and bigger rooms are characterized by a blend of palatial style construction combined with modern architectural design. These windows offer a greater view of the legendary Manila Bay sunset, the Manila Golf Course and the Manila Polo Club within its hindsight. Enjoy, relax and feel the unblocked views of these magnificent scenes every day. Each unit is designed with ingenuity and attention to details. Interior decoration was designed by internationally acclaimed designer Hirsch Bedner, which works include the Landmark in the UK, Beverly Hills Hotel in California and the local Shangri-La Manila, among others. You can be assured of the project’s efficient management system which is being done also by one of the world’s internationally known property management company, Colliers. Experience unique management style of global standards and quality accepted by the international community. Aside from being near BGCs financial and business centers, the Manila Polo Club and Manila Golf and Country Club, the site is also in close proximity to various commercial establishments. The likes of Bonifacio High Street, SM Aura, Market! Market! and the Fort. The project is also a few minutes ride from the NAIA Terminals, Domestic Airport and the business district of Makati. St. Luke’s Medical Center, Treston International College, Kelly Academy International, Manila Japanese School and the British School Manila are all within the site’s locality.